Ryanair has officially launched its twice-weekly summer service to Papho at Dublin Airport. The new route, operating on Mondays and Fridays, will put it into competition with Cobalt Airways to the holiday island, which is beginning to feature more on the Irish tourist radar after years of decline. Paphos is one of Ryanair’s five new services operating from Dublin Airport this year. The airline recently launched its new Dublin to Marrakesh in Morocco service, a new route to Dalaman in Turkey will start in June while services to Frankfurt and Luxembourg will be added in October. 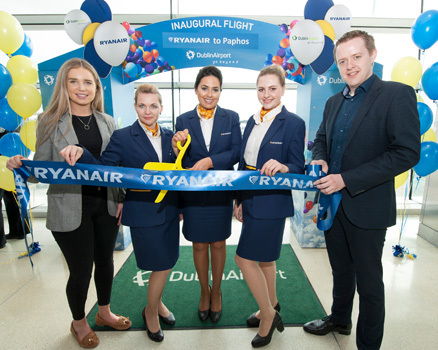 Dublin Airport will welcome a total of 14 new routes/services this summer comprising five long-haul and nine short-haul destinations.